Nov. 1, 2016 - Hot Dog on a Stick Asks America: "What Turkey Are You Voting For?" Oct. 19, 2016 - U.S. Gold Bureau: Are You Prepared for Election Armageddon? Oct. 10, 2016 - NYC Restaurant, Serendipity 3, Challenges Donald Trump vs. Hillary Clinton in an Ice Cream Sundae Election! 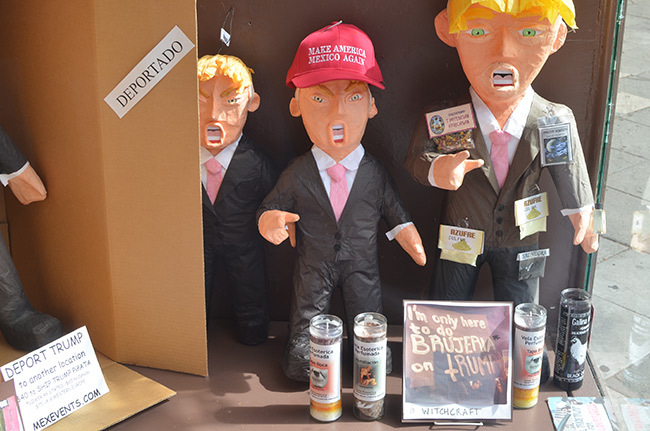 July 14, 2016 - Numerous vendors outside after Clinton's rally at Northern Virginia Community College in Annandale, VA.
June 5, 2016 - Trump piñatas on sale at Casa Bonampak in the Mission District of San Francisco. 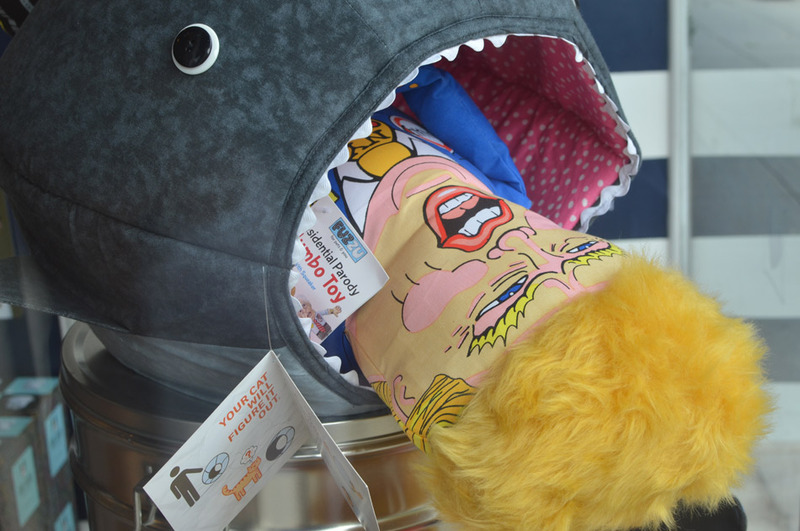 Sept. 2016 - Window of the Cheeky Puppy on Connecticut Ave. in Washington, DC. Copyright © 2015, 2016 Eric M. Appleman/Democracy in Action. All rights reserved.